Cheteshwar Pujara scored a stunning ton to revive India’s innings in the ongoing first Test against Australia at Adelaide. Cheteshwar Pujara once again proved his worth in gold by scoring one of the best centuries of his Test career so far. The right-handed batsman walked in to bat pretty early in the innings after Josh Hazlewood sent back KL Rahul for just 2. To make matters worse, he ran out of partners at regular intervals. The likes of Virat Kohli, Murali Vijay, Ajinkya Rahane, Rohit Sharma and Rishabh Pant failed to stay for long as India found themselves in big trouble. At one stage, India were reeling at 41 for 4. 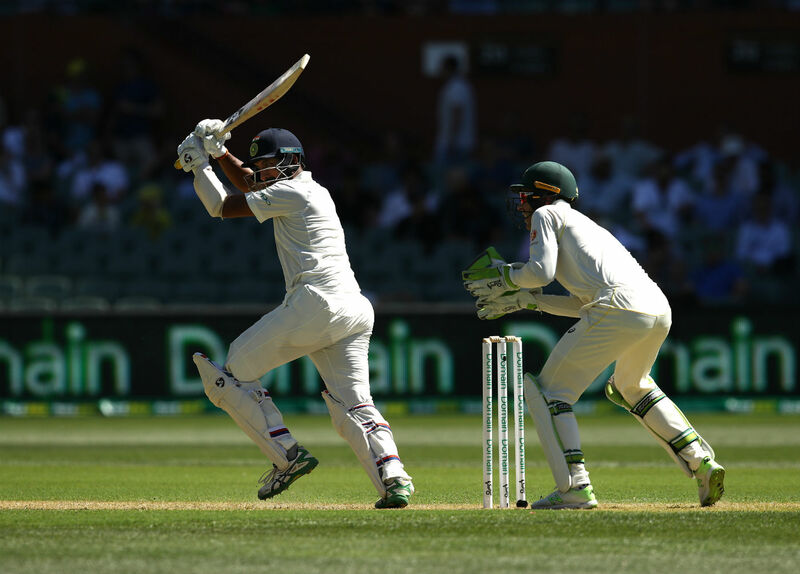 Pujara and Rohit then added 45 runs for the fifth wicket to stop the rot for a while. But Rohit departed at a precarious time and Pant also failed to provide much support to Pujara. However, the Saurashtra star held firm from one end and shared crucial stands with the tail-enders to reach his 16th Test century. He added 62 runs with R Ashwin before Pat Cummins dismissed the latter for 25. Pujara and Ishant Sharma then took the score past the 200-run mark. The duo added 21 runs before Mitchell Starc cleaned up Sharma. At that stage, it looked like Pujara would run out of partners. However, a six and a four off Hazlewood took him to 99 before a couple helped him score a memorable century. It was his first ton in Australia. During the course of the knock, he also scored his 5000th Test run, thus becoming only the 12th Indian to achieve the feat. His memorable knock, however, ended in a disappointing manner as he was run out for 123. But the crucial ton helped India recover and finish the day on a respectable 250 for 9.